Vehicle collisions can be life-altering, even life-ending moments with years of lasting repercussions for you and your family. Collisions involving trucks take the devastation to a higher level. According to the Illinois Department of Transportation, trucks accounted for 6.7% of crashes in 2014, yet accounted for 13% of traffic fatalities (source). A split-second on a freeway can alter the very fabric of your life and the lives of those closest to you. In that instant, you may lose your vehicle, your physical wellbeing, or the ability to perform your job for an extended period of time. You may have bills piling up, you may even have a permanent disability or worse. No one comes away from a crash the same as they were going in. 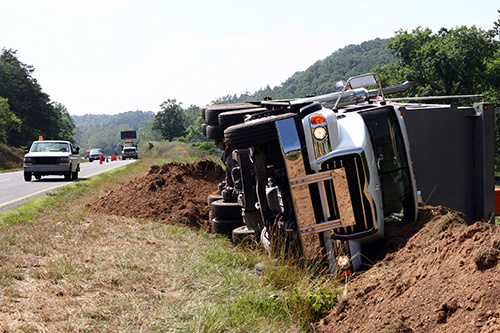 What factors are at play in trucking accidents? According to the IIHS, drivers are allowed by law to drive up to eleven hours per day, and up to seventy-seven hours per seven day period (source). Many drivers ignore these regulations and work longer. This brings sleep deprivation and exhaustion into the fold. Additionally, trucks take 20-40 times longer to brake than a passenger vehicle and weigh 20-30 times more than a passenger vehicle. Alcohol and drugs are a possibility in any collision, as are reckless driving and irresponsible driving in poor conditions like fog or wet roads. If the driver of a truck caused this collision with reckless, illegal, or dangerous actions, you are entitled to compensation. The frustration of dealing with the injuries, pain, suffering, and work implications of vehicle collision can be overwhelming. You are not in this alone; accept a helping hand from a local, experienced trucking accident attorney. Jeff has 25 years of experience in personal injury litigation in both Illinois and Missouri, in both state and federal court. In this border area, with so much commuting and recreational travel between Illinois and Missouri, finding an attorney who can practice in both states is a must. If you are an Illinois resident and you were in a collision in Missouri, you can hire an attorney who can still practice in Missouri where the litigation must take place. On the other hand, Missouri residents can hire an Illinois attorney who is still close and easy to access. 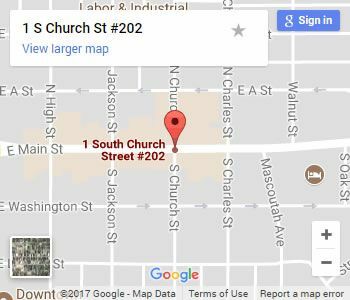 Jeff will meet with you at his office in Belleville, Illinois, at your home, or even at the hospital if need be. This process is all about making the quality of your life better. You have had something taken from you, be it your health, your livelihood, or even a loved one. You are entitled to compensation for your pain, your suffering, and your loss. Jeff will fight for what is yours and help you navigate these trying times.